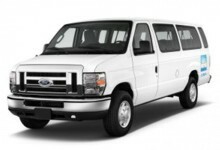 Superior shuttles, superior transportation cleanliness and schedule, and superior service, from Miami Airport to the Port Everglades Cruise Terminal in Fort Lauderdale, with a simple and pleasant interface and inexpensive rates. Per Passenger Rate is valid only with a reservation, and is based on the number of people on a single reservation, not the number of people aboard the shuttle. **Minimum 2 Passengers required for shuttle services to Port Everglades.